Discover the rich history and heritage of North America’s largest French-speaking city. Some archaeological evidence demonstrate that various nomadic First Nations native people occupied the island of Montreal for at least 2,000 years before the arrival of Europeans. Montreal takes its name from Mount Royal, which is located in the center of the island. Seventy years later, French explorer Samuel de Champlain reported that the St. Lawrence Iroquoians and their settlements had disappeared altogether from the St. Lawrence valley, possibly due to outmigration, epidemic of European diseases, or wars. In 1639, Jerome Le Royer de La Dauversiere obtained the Seigneurial title to the Island of Montreal in the name of the Societe de Notre-Dame de Montreal to establish a Roman Catholic mission for evangelizing natives. Paul Chomedey de Maisonneuve was the governor of the colony, which was established on 17 May 1642. Ville-Marie became a centre for the fur trade and a base for further French exploration in North America. By the early 18th century, the Sulpician Order was established there. To encourage French settlement, they wanted the Mohawk to move away from the fur trading post at Ville-Marie. 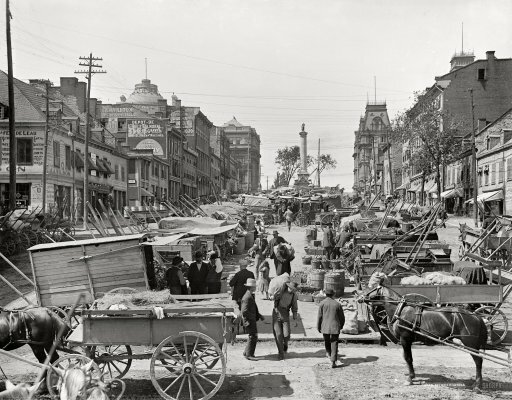 Montreal was incorporated as a city in 1832. 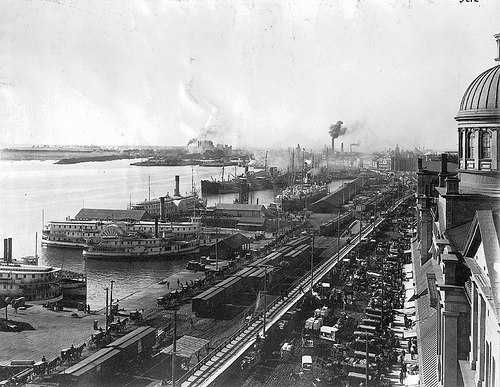 By 1860, it was the largest city in British North America and the undisputed economic and cultural centre of Canada. Montreal was the capital of the Province of Canada from 1844 to 1849, but lost its status when a Tory mob burnt down the Parliament building to protest the passage of the Rebellion Losses Bill. After World War I, the Prohibition movement in the United States turned Montreal into a haven for Americans looking for alcohol. Unemployment remained high in the city, and was exacerbated by the Stock Market Crash of 1929 and the Great Depression. 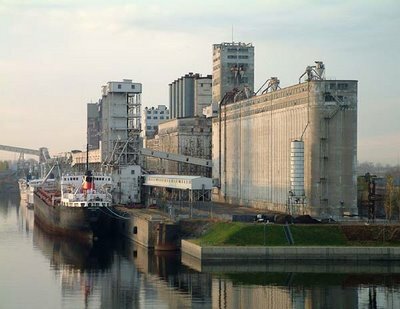 The Saint Lawrence Seaway opened in 1959, allowing vessels to bypass Montreal. In time this development led to the end of the city's economic dominance. However, the 1960s saw continued growth, including Expo 67, the construction of Canada's tallest skyscrapers, new expressways and the Montreal Metro system. By 1951, Montreal's population had surpassed one million people. The 1970s ushered in a period of wide-ranging social and political changes, stemming in large part from the concerns of the French-speaking majority about the conservation of their culture and language, given the traditional predominance of the English-Canadian minority in the business arena.